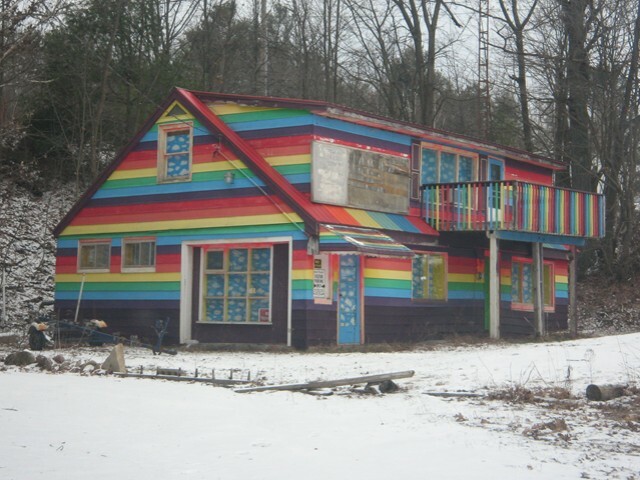 Driving around Ontario, I came upon this crazy house. I could only imagine that a hippy had enough time to paint it this way. Unfortunately it was closed for the season. I wonder what they sell? Taken Severn Falls, Ontario, Canada.